Next at number 11 we have Bungie’s first person shooter game Halo: Combat Evolved, often considered the best title in the series it showcases a fresh story and effortless gameplay! 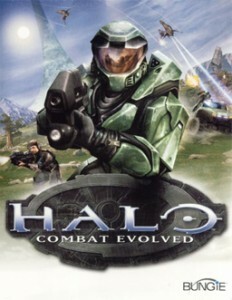 Bungie’s 2001 first person shooter for the PC (Mac OS X and Windows), Xbox and Xbox 360 platform – Halo Combat Evolved. Bent on humankind’s extermination, a powerful fellowship of alien races known as the Covenant is wiping out Earth’s fledgling interstellar empire. You and the other surviving defenders of a devastated colony make a desperate attempt to lure the alien fleet away from Earth. Shot down and marooned on the ancient ring-world Halo, you begin a guerilla-war against the Covenant. Fight for humanity against an alien onslaught as you race to uncover the mysteries of Halo. The first title in one of the biggest franchises of modern gaming, Halo Combat Evolved paired an engaging story with simple yet effective gameplay to create a title that was as easy to get into as it was enjoyable! What really helps Halo as a game, is that the controls and moves are easy grasp. There was no challenge at all when learning how the gameplay mechanics worked and as a result of this, players could pick up the game at any time and play for five minutes or five hours! The shooter-based combat was a high-octane addition to the simple mechanics and kept the game moving at a fast pace. Your playable character’s high tolerance of pain kept re-spawns down to a minimum! 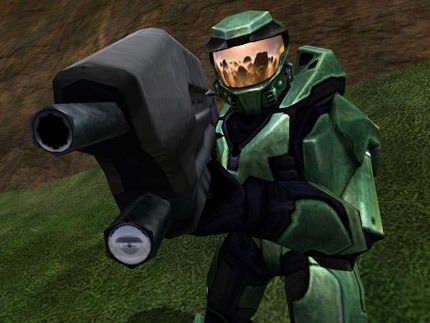 Halo was also the first game that allowed players to throw grenades or use melee attacks whilst the gun was still equipped – no holstering needed! It wasn’t choppy, it didn’t have those excruciating lulls of inactivity, Halo Combat Evolved just flowed. Touches of humor, too, adds to the variation in battles. Smaller enemies for example would flee in terror once their leader had been defeated or band together when in a complete unit. The story is presented through an instruction manual, scripted events, in-game conversations and cut scenes. It is set in the twenty-sixth century, with the player assuming the role of the Master Chief, a cybernetically enhanced super-soldier. Players are also accompanied by an A.I. partner Cortana. What is fresh about Halo is that it is set in a future where Earth is not in ruins! This makes a nice change against the wealth of post-apocalyptic video games out there! Due to overpopulation the human race have had to colonize and through man’s searching the stars they have run into trouble. The trouble comes in the form of the Covenant, which is a collection of advanced alien races who see mankind as a personal affront to them and their gods. It’s a nice take on the usual ” science fiction themed, first person shooter” setting. 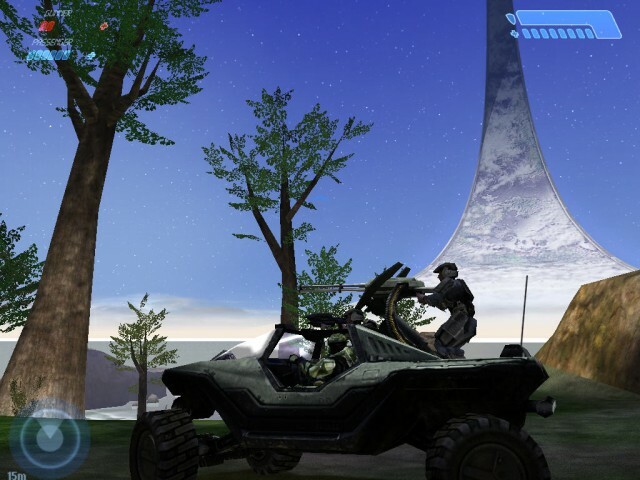 Often considered the best game in the series, Halo Combat Evolved provides players with an adrenaline-fueled, simple yet effective gameplay experience. This classic title shouldn’t be missed! Interested in this game? Try Play.com if you’re living in the UK or Amazon.com (US) for some great deals! Or wait for the Halo: Combat Evolved Anniversary HD remake that’s on its way to Xbox 360 November 15th, 2011.